With XMediusFAX® Cloud, XMedius has pushed the final evolution of faxing just a little further by offering enterprise level faxing from a secure cloud platform. It delivers all of the benefits of an on-premise fax server without the upfront capital expenditure. XMediusFAX® Cloud solution offers extensive faxing capabilities directly from desktops, online applications, mobile devices and network-enabled multifunction printers (MFPs). XMediusFAX® Cloud is the ideal solution for enterprises of all sizes since it offers unlimited scalability and can be easily adjusted based on changing fax needs. In addition to basic enterprise faxing that is available through all network enabled MFPs; organizations can further enhance their productivity with the help of the especially developed XMediusFAX® Cloud Xerox EIP connector that brings the full power of the XMediusFAX® Cloud solution right to the MFP console. Follow You Fax Feature: Integrated within the XMediusFAX® Cloud Xerox EIP connector this feature allows you to authenticate at any EIP compatible Xerox MFP on the network to retrieve and print faxes on the spot. Seamless Application: The XMediusFAX® Cloud solution integrates with many other applications such as MS outlook, Exchange, SharePoint, MS Office and Active directories. Sophisticated Inbound Fax Routing: Inbound faxes can be routed via optical character recognition (OCR) or bar codes and delivered to multiple users or destinations (applications, file shares or printers) as searchable PDF files. Versatile Outbound Fax: Different fax priorities, number of retry attempts and the wait time between retries can be defined for various groups of users. Extensive Cost Tracking for Re-Billing Fax Costs: XMediusFAX® Cloud allows you to assign user to groups allowing companies to track and re-bill faxing costs to external clients; internal business units, cost centers or departments. Workflow Automation: XMediusFAX® Cloud is a versatile solution that integrates with a wide variety of software and backend applications. With the help of simplified application integration through standardized technologies (i.e. XML, Python script, Web Services API) we can enable cost-optimized customized workflow integration. Automated Fax Retention and Deletion: You define how long you need XMediusFAX® Cloud to retain your faxes and fax transmission histories. HA/DR: Offers High-Availability and Disaster Recovery features to insure maximum up-time. Mobility: With the free XMediusFAX® Cloud app, you can quickly and easily fax documents anywhere and at any time, from your iPhone or iPad. No fax machine, phone line or computer is required. As most businesses make the move towards resource integration by deploying MFP fleets across their locations, they also choose to integrate high productivity software to get the most out of their MFPs. However, there is one critical application that most organizations have yet to fully leverage with their MFPs: Fax. As the pioneers in FoIP technology, XMedius cloud fax solution take the guess work out of choosing the right faxing option for your Xerox EIP-enabled MFPs. Low fax volume: XMediusFAX® Cloud is a highly scalable solution with pay as you go options, ideal for organizations with varying fax volumes. Limited IT funds: CapEx funds are always committed to higher profile projects. Limited IT resources: IT resources are already stretched too thin and cannot justify an on-premise enterprise fax solution. Corporate shift towards cloud: Fax is seen as a legacy technology. Management wants IT to focus on forward-looking technologies such as the Cloud, Mobile and Social Collaboration. 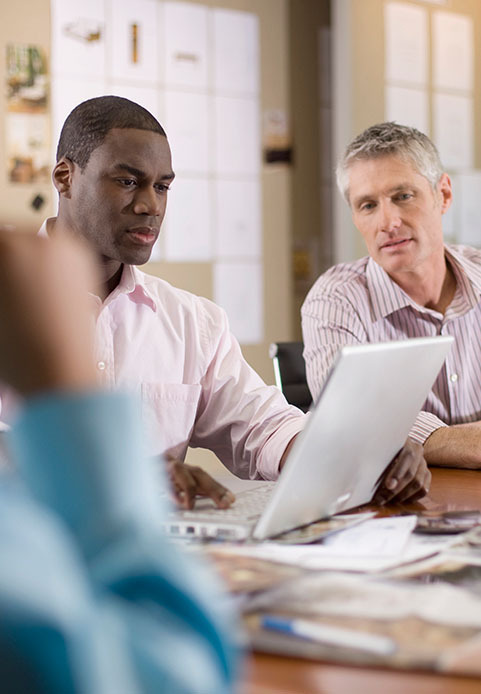 Compliance with regulations: Xerox and XMediusFAX® Cloud can help organizations achieve compliance with HIPAA, Sarbanes Oxley and other regulations. Security and traceability: All faxes must be secure and traceable for transparency and auditing. XMedius' robust XMediusFAX® Cloud solution leverage the Xerox EIP platform to offer enterprise faxing capabilities directly from your Xerox EIP enabled MFP. XMediusFAX® Cloud and Xerox can help your organization take full advantage of enhanced fax features, functionality and security, improving overall document distribution and management while offering significant cost savings on the way. Provides substantial cost savings and rapid ROI: Experience huge cost savings and rapid ROI with XMediusFAX® Cloud solutions. It pays for the faxes it actually sends and receives; no more overpaying for fax infrastructure to support future fax volumes. Skyrocket Employee Productivity: Manually handling faxes can tie up resources; free up employee time to focus on more valuable tasks. 24x7 Faxing: Ensures faxing is available 24x7 to every colleague with Internet access. Helps with Regulatory Compliance: XMediusFAX® Cloud and Xerox can facilitate compliance with HIPAA, Sarbanes Oxley and other regulations. Unlimited Scalability: Provides unlimited inbound and outbound faxing capacity with no additional telecom expenditure. Enterprise Grade Faxing: Offers powerful inbound and outbound fax functionality from the cloud platform typically found in Fortune 500 companies to any sized business. Activity Tracking: Comprehensive document and user activity tracking with full monitoring, reporting, and audit trail capabilities make tracking easy. BLI named Xerox's line of document imaging solutions, including XMediusFAX Cloud, their 2017 Document Imaging Software Line of the Year. "According to our analysis, Xerox offers an unmatched portfolio of both first-party and third-party software solutions."